Whether in cemeteries, breweries, parks or lidos, The Nomad Cinema bring pop-up movie magic to many an unseen spot on London’s landscape. This Summer they celebrate their fifth birthday with their most ambitious programme to date; so we had a chat with founder Sally Wilton and creative director Kate Keara Pelen about how they started, The Sustainability Institute and the formula for pop-up perfection. WeGotTickets: The Nomad Cinema was the UK’s first Social Enterprise pop-up cinema, can you tell us a bit about how it all started? Sally Wilton: The Nomad started when 5 years ago, we decided to take The Lexi – our 364-days-a-year community cinema – out on the road, to spread our message of Transforming Lives through Film. One of my first memories of film is as a young child in Nigeria, watching a screening of The Wizard of Oz projected onto a suspended white sheet: it was love at first sight. With both Lexi and Nomad, we wanted to bring back that magical feeling of wonder and amazement, shared with friends and family, which has become lost in some of the film-going experiences today. WeGotTickets: 100% of your distributable profits go to The Sustainability Institute. Tell us a bit about why this is so important to you and the kind of work that they do. Kate Keara Pelen: Community is truly at the heart of everything we do. We are like a big family: from our award-winning volunteer scheme and the outreach work we do with schools, to our creative partnerships with like-minded ethical and socially-driven organisations and individuals. And of course this is all underpinned by our work with a very special community on the other side of the world in Lynedoch Eco-Village, home of our chosen charity, The Sustainability Institute. By supporting a small and pioneering project we can make a real impact at a small scale, which creates a positive spiral over time. After nearly ten years of supporting the SI through Lexi and Nomad, we are beginning to see major changes. At our recent summer 2016 launch event and 5th birthday celebrations, we shared stories of individuals whose lives had truly been transformed through the educational, social and environmental work carried out in Lynedoch and beyond. From essential nutritional support for the very young, to training and development opportunities for those making those important steps into the workplace, it’s deeply motivating to know that our volunteers, audiences and supporters are effecting tangible change – just by choosing to enjoy a film with us. WeGotTickets: Talk us through your average working day with The Nomad. KKP: As you might expect, no two days are the same and we’re nomadic not only by name but also by nature. Hopping between site visits, client meetings and back to HQ at the Lexi for a brainstorm or planning session, we’re a pretty footloose bunch – a very close-knit team punching above our weight and powered by our shared values, passion for film and desire to do a bit of good through our work. When summer season hits from July to September, we are completely flat out with sometimes 2 or even 3 events on the same day – which is where our champion tech, logistics and front-of-house teams really come into their own. Long days, hard work, but an incredible sense of satisfaction and achievement when it all comes together on the night. WeGotTickets: What makes for a great pop-up venue? What are the most important factors when looking for a new place for screenings? SW: One of the joys of the job is that you can never go anywhere without thinking ‘oh, that would make a great venue for a screening!’ The location has to have a certain magic about it – you can sense it immediately. You have to imagine the space as night falls, illuminated by the screen and our twinkling lights… places at night take on a special atmosphere; the real essence of the place becomes more vividly apparent. And we do love a bit of quirk ̶ from breweries to factories to cemeteries, not forgetting of course gorgeous gardens, parks and squares… And who can resist watching a classic in the elegant courtyard of The Royal Academy of Arts, enjoying a picnic on one of our Magic Carpets in Coram Secret Garden, or relaxing in a deckchair at The Hoxton, Shoreditch? From lidos and casinos to churches and palaces, we’ve been everywhere! We could write a book on the venues we pop up in. In fact, later this summer we’ll start sharing more of our methods, mission and musings in our new blog, so that’s something to look out for. 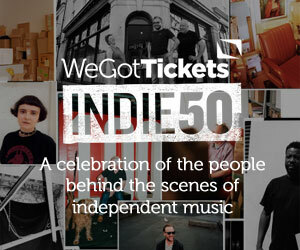 WeGotTickets: Can you give us a sneak peak of what you have planned for this Summer’s programme? KKP: This is going to be our most captivating and diverse season yet – we have some great new venues including the National Maritime Museum, The Biscuit Factory, Bermondsey and Wembley Park (Olympic Way). We currently have over 40 events on sale and we’ll be adding many more as the summer approaches – there’s something for everyone with classic and cult favourites from our favourite directors – David Lynch, Ridley Scott, Scorsese, Spielberg, Baz Luhrmann, The Coen Brothers, Hitchcock, Christopher Nolan, Sofia Coppola, Wes Anderson and many, many more… We’re also teaming up with a great project called 1000 Londoners – we’ll be screening a themed short film from the series ahead of each of our features this year. We’re also introducing the Nomad Passport to London – a special roaming loyalty card that will be available as from our very fist outdoor event. WeGotTickets: What’s your favourite venue you’ve worked with? SW: It would be hard to beat a ‘Super Moon’ night in Brompton Cemetery, but venues are also marked out by the people who run them and Richard Gentry of Queen’s Park, our Lexi local park is one of the best – stand-up comic in his spare time, he welcomes us, supports us and loves the fact that we bring 4,000 people into his park at night over the summer – Richard is the ideal host, for whom nothing is too much trouble. KKP: As an artist, I’d have to choose the Royal Academy of Arts – a triumphant new venue for us last year and back for more this year with a stunning programme we’re very proud of. The RA’s Annenberg courtyard is a prestigious and beautiful location of course, but it’s the team there who have really struck us – their passionate, positive, can-do attitude makes the whole project such a delight to work on ̶ so it’s both a privilege and a real treat. The partnership has come to symbolise something of a milestone for us. WeGotTickets: What would be your dream pop-up screening and location? SW: For me, a screening in The Ngorongoro Crater in Tanzania would be my dream venue! Nomad 2020 perhaps? Nomad Cinema’s full Summer programme is on sale now, find out more here.